Kutná Hora, situated only 1 hour and 15 minutes drive outside of Prague, the silver treasury and a true gem of the country, was present at the very start of the boom in the Czech Kingdom. 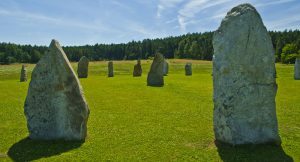 Known especially thanks to the silver mining, back in the middle age this town covered one-third of the silver mining of the whole world. 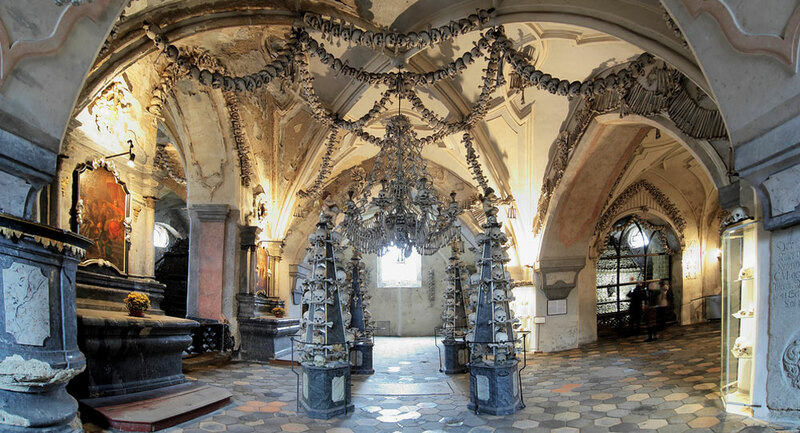 Famous for the unique ossuary, a crypt with decoration made out of 40 000 human beings bones. Called the “Pearl of Posázaví”, towers above the central part of the river Sázava. The family that founded the castle still owns it today, and the current owner, Zdeněk Sternberg, lives there. A tour circuit will lead you through fifteen richly furnished rooms, from the representative Knights’ Hall to parlors and salons with furniture from various historical periods, to the Hunters’ Hall, which is decorated with a variety of hunting trophies. You will learn about the fate and lifestyle of the most recent generations of the oldest still existing Czech family. 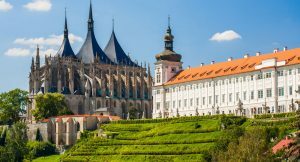 Reasons to visit: Kutná Hora – an ossuary which is unique in the world. Its decoration was created from the bones of nearly 40,000 people from a liquidated cemetery. Český Šternberk – in the castle you can see a unique collection of 545 etchings from the time of the Thirty Years’ War. In the summer, don’t miss a falconry demonstration in the castle courtyard. 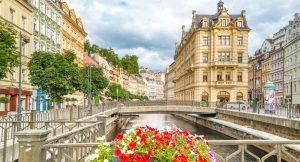 This tour price includes: Pick up and Drop off at the hotel, transport in the Mercedes minivan, my personal service, service of the personal driver, bottle of water, visit of Kutná hora town, visit of some chosen interiors – for example of the Italian court, Saint Barbaras cathedral and Bone Church, visit of Český Šternberk castle, time for lunch and coffee break.